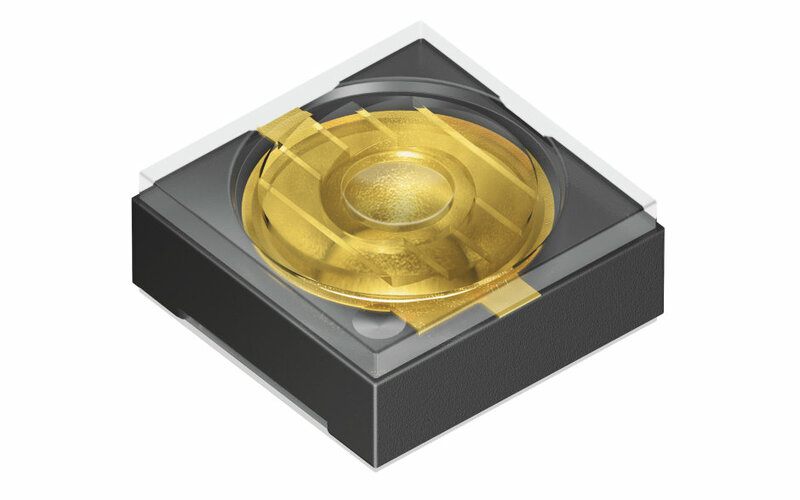 Osram Opto Semiconductors was named a winner of the ECN IMPACT Awards (2016) in the product category of optoelectronics for its Oslux SFH 4786S infrared LED (IRED). Electronic Component News (ECN) is a global trade publication providing product information, news and editorial to the electronic design community for more than 50 years. This year’s winners represent organizations across 17 categories that have shown excellence in engineering through electronic design and groundbreaking innovation. Osram’s Oslux SFH 4786S infrared LED (IRED) enables iris recognition systems to be made less complex and with lower profiles. At 1.6 mm high, this IRED is nearly one third thinner than its predecessor and offers an 8-degree tilt in the emission direction – a completely new feature. This slightly sideways emissions characteristic is beneficial for the field of view of the camera mounted a slight distance away, and performance of the overall system is significantly better than one with an emitter emitting vertically upwards. While iris recognition systems are well established in the industry, common systems have been bulky, expensive and slow in operation. This device now enables smartphone makers, home security players and automotive companies to add this superior biometric identification method in small form factor systems at a very reasonable cost. Due to its special wavelength, optimized for iris recognition, such systems will not only be smaller and less expensive, but also more reliable and faster in operation. ECN has a legacy heavily steeped in recognizing the best products on the market for engineers and companies, and the tradition continues today in print and online. The 2016 ECN IMPACT Awards are the culmination of a Product Technology Awards history stretching back 60 years. Honoring rich tradition of highlighting design engineering excellence, the ECN IMPACT Awards recognize the top products and services across the design engineering landscape. The competition seeks to honor ingenuity and creativity among companies large and small who are making a different in the industry and in the lives of engineers. This year’s ECN IMPACT Award Winners were announced in a live online event, hosted at ecnmag.com. To watch the on-demand version of the ECN IMPACT awards, visit www.ecnmag.com/2016ECNImpactWinners. To learn more about the ECN IMPACT Awards, visit ecnawards.com, and for more information on Osram’s Oslux SFH 4786S IRED, please visit our press release.